Typically when I cook I either make things up as I go or I find recipes on the internet, but that doesn't stop me from collecting cookbooks. I love to flip through them over and over again. 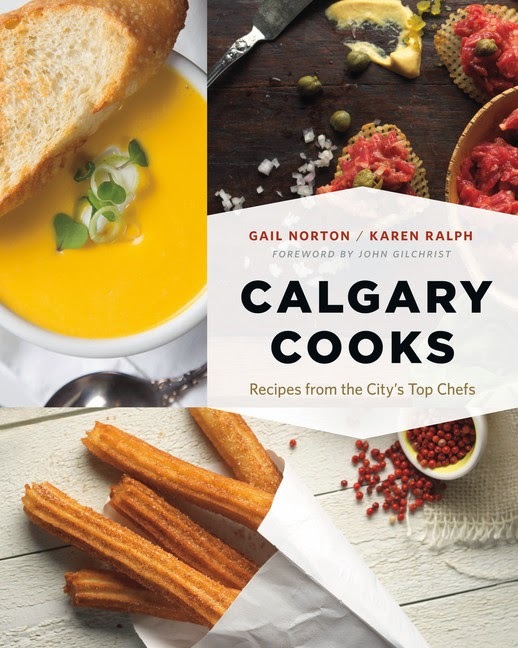 My latest love is Calgary Cooks, a book compiled of recipes from some of Calgary's best restaurants- Anju, Anejo, Candela, Model Milk, Cucina and dozens more. All of the recipes look beautiful, but I really admire that, for the most part, they're simple enough for the home cook. You can find them at Our Daily Brett, Red Tree Catering, Cookbook Co. and Chapters.